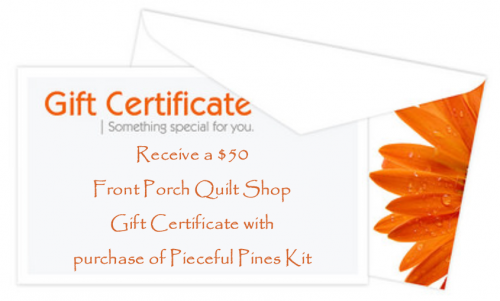 RECEIVE a $50 FPQ GIFT CERTIFICATE WITH KIT. 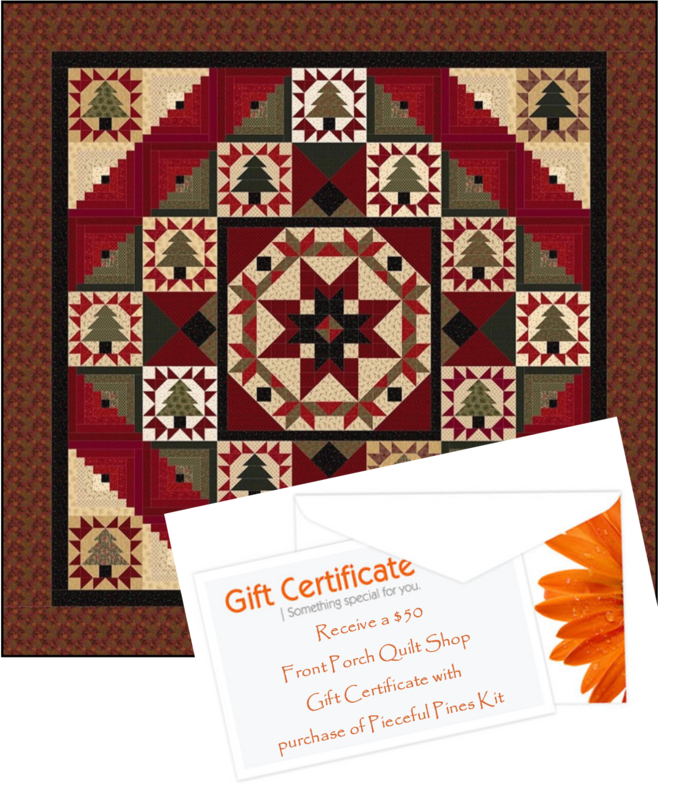 Pieceful Pines by Pam Buda of Heartspun Quilts and Marcus Fabrics. Complete Kit includes full-color chart with SKU numbers, detailed quilt directions and all fabrics for the top and binding. 80" x 80"